I'm wondering why they have such pointy chins. Is it to make them cute or something? Or is it because that's the easiest way to draw them? And if possible, I would like to know when it started, or who was the first to start including it in their work. The answer is because that is what is deemed beautiful by Japanese. This article posted in Wisconsin Madison University tells us what is deemed beautiful by the Japanese in general. First, the face. The face obviously has many important features: lips, eyes, ears, nose, and mouth. For the Japanese, every facial feature has to be small, except the eyes. They admire eyes that are big, and have what they call “double eyelids”. “Double eyelids” are eyelids that have the crease. As you may have noticed, Asians do not have that eyelid crease, and their eyes are very small. They even have a feature to make the eyes bigger when they take pictures in photo booths (Puriga-プリ画), which is a very popular activity to do with friends. Also, because my eyes are blue, I’ve noticed they admire eyes that aren’t dark brown. You may have also noticed that the majority of girls (even guys) are overly petite and skinny. They admire a small, oval face because it appears more feminine and fragile. Other sites, (thejapanguy.com and yumitolesson.com) also agrees that the Japanese deemed small face to be beautiful, although they didn't explain it as good as the one I quoted above. 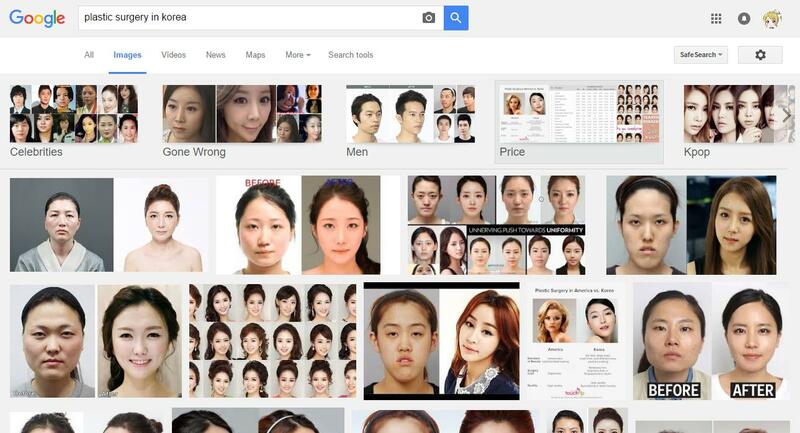 A Google search on plastic surgery shows that many of the surgeries are done to make the chin more pointy. The following is a small example of the said surgery's before and after. This is true not only in Japan, but also in the East Asia in general. 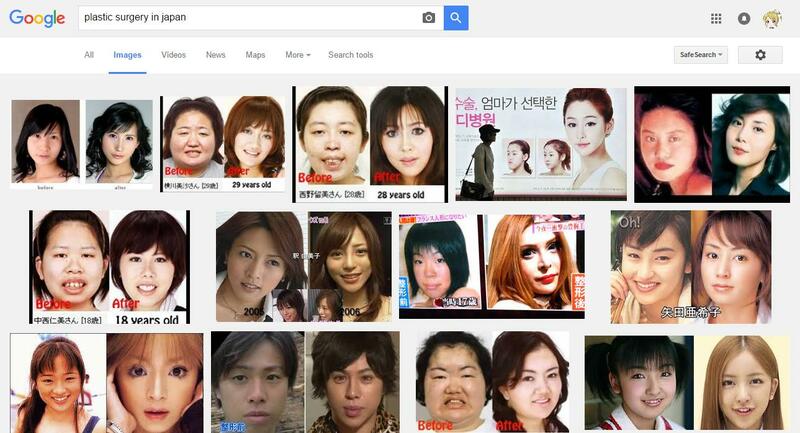 Koreans also like to have the plastic surgery to make their chin more pointy. It is not clear who is the first to do this. 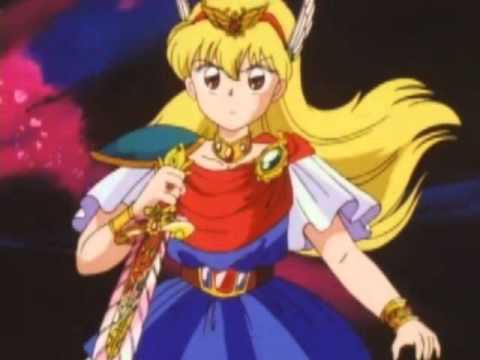 The oldest anime that I can find that features pointy chin is Akazuki Chacha. However, it should be noted that they use pointy chin only on certain angles and scenes. 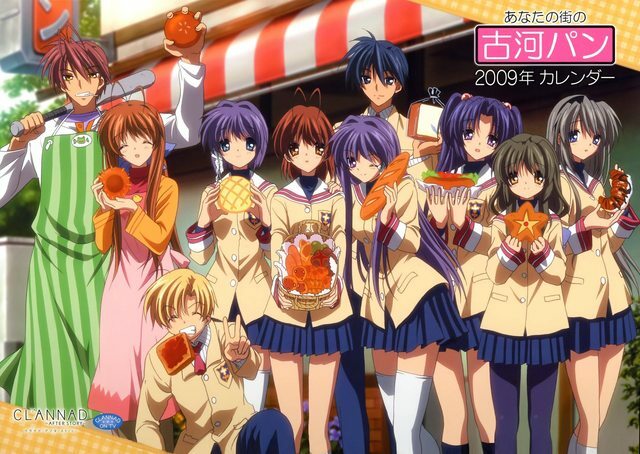 In other scene, the same character is shown with round face. What is clear is that when they want to show a bishoujo (pretty girl) or a bishonen (pretty boy) then they will draw her/him with a pointy chin. Once again, because that is what is deemed beautiful by Japanese standard. 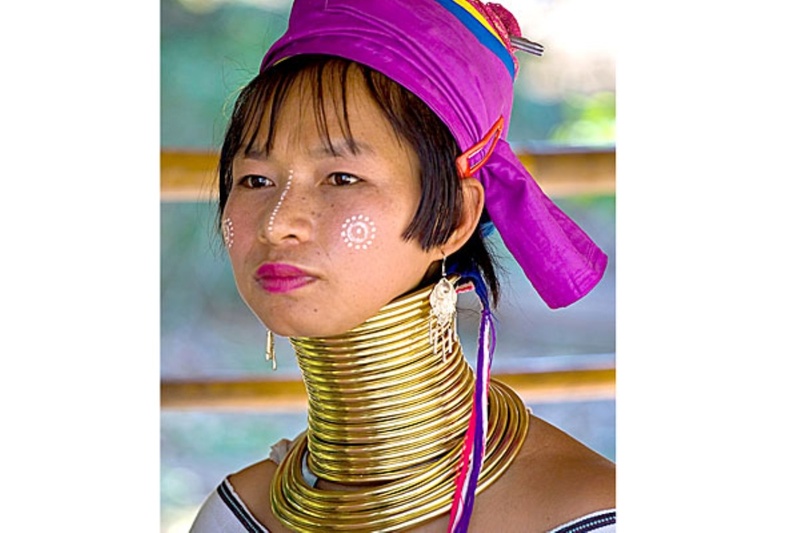 Had anime came from the Kayan tribe of Thailand, then the girls might have long necks instead. Why do anime characters have official birthdays? Why does damaging something sometimes make it more powerful? What does this grinning gesture signify? Why do bad/evil characters sometimes have no eyes? Why do the stronger enemies in anime/manga tend to look more human?